Helen Stack would like to welcome you to Ore a Tava House - using her decades of experience with her guests to provide you with a home from home during your stay in Co Clare. 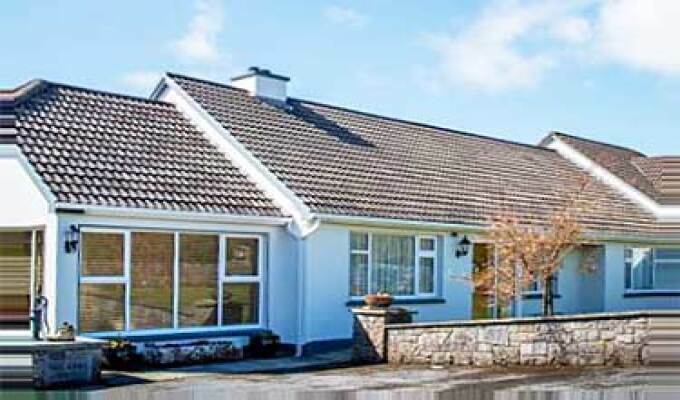 Enjoy the comfortable quiet surroundings of this beautiful wooded area - just 1km from Lisdoonvarna - recharge your batteries and relax in the beautiful snug or private landscaped gardens ready for another day of sight seeing and exploration. Get up to a hearty home cooked breakfast enjoying views of the garden from the classically decorated breakfast room.